Opposition head Juan Guaido takes an oath swearing himself in as Venezuela's interim president as hundreds of thousands marched to demand the end of socialist leader Nicolas Maduro's government. 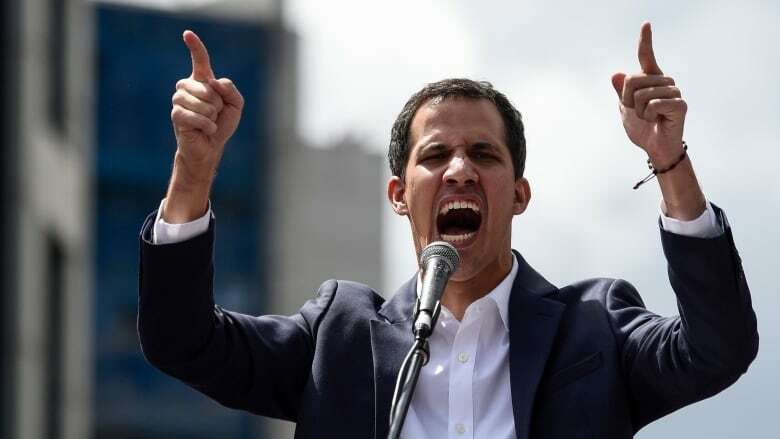 Opposition head Juan Guaido took an oath swearing himself in as Venezuela's interim president on Wednesday, as hundreds of thousands marched to demand the end of socialist leader Nicolas Maduro's government. Within minutes, Global Affairs confirmed Canada will recognize Guaido in the role. 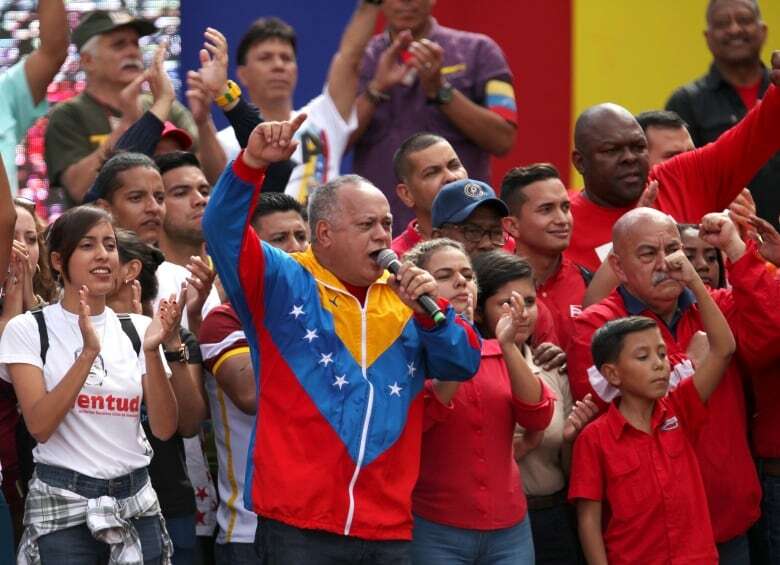 Foreign Affairs Minister Chrystia Freeland later issued a statement saying Canada supports Guaido's "commitment to lead Venezuela to free and fair presidential elections" and called on Maduro to cede power. She added, "Canadians stand with the people of Venezuela and their desire to restore constitutional democracy and human rights in Venezuela." 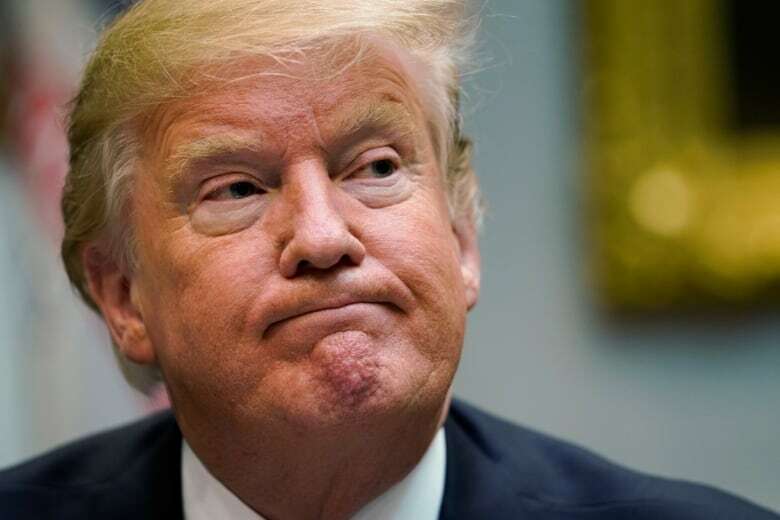 U.S. President Donald Trump also issued a statement supporting Guaido, and encouraged other Western governments to recognize Guaido as interim president. 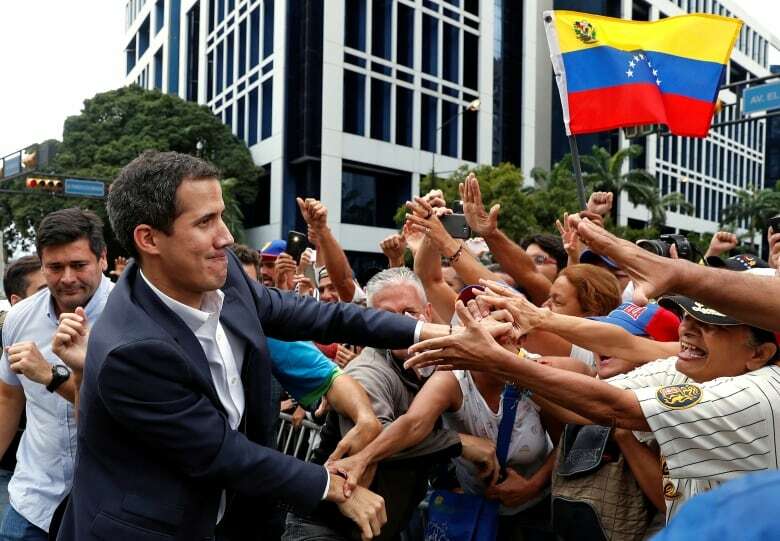 Argentina, Brazil, Chile, Colombia, Costa Rica, Guatemala, Honduras, Panama, Paraguay and Peru indicated they too will recognize Guaido. Ecuador joined that list a few hours later. A spokesperson for Mexico's Foreign Ministry said Mexico does not plan to change its policy on Venezuela "for the time being." Bolivia's president also affirmed his solidarity with Maduro in a tweet. Cuba, El Salvador and Nicaragua appeared to be standing with Maduro, at least for now. 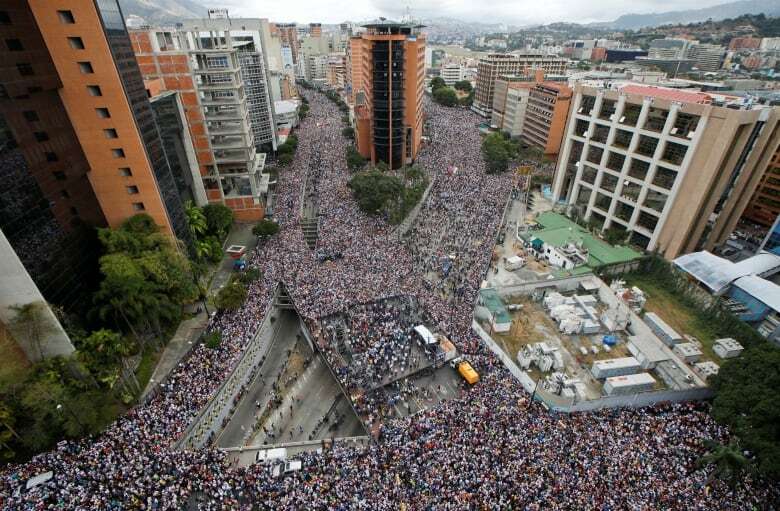 Demonstrators clogged avenues in eastern Caracas, chanting "Get out, Maduro" and "Guaido, Presidente" while waving national flags. Police fired tear gas to disperse protesters in several areas. 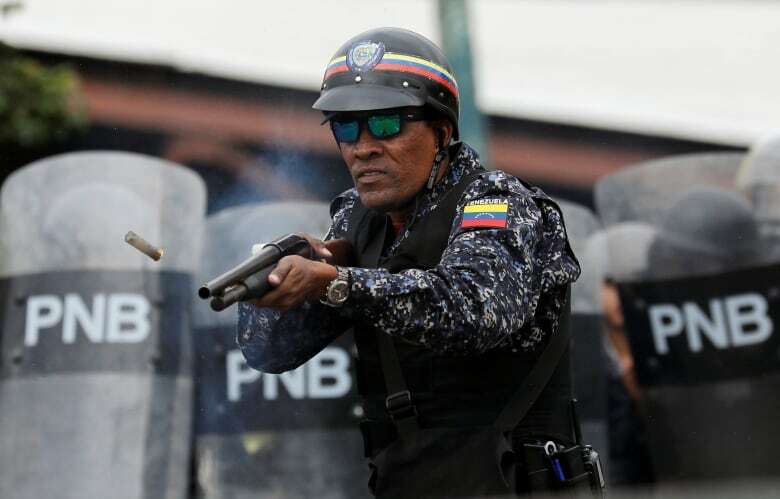 An Opposition spokesman said seven people had been killed during the day of demonstrations, including four killed by gunfire in the southwestern city of Barinas. Freddy Superlano said members of the National Guard and police were dispersing protesters at the end of a march when the gunfire erupted. He said another three people were injured. U.S. Secretary of State Mike Pompeo followed by saying Washington won't pull its diplomats out of Venezuela, and will instead abide by Guaido's directive. Pompeo earlier called on Maduro to step aside and urged the country's military to support efforts to restore democracy. 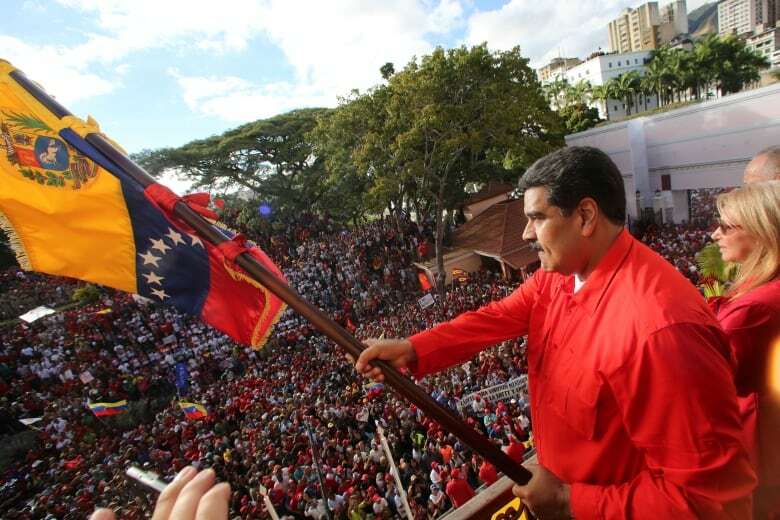 In a statement, he said Washington would support opposition leader Juan Guaido as he establishes a transitional government and prepares the country for elections.